Just popped in to let you know that Birdie Brown is sponsoring this weeks Ribbon Carousel Challenge! 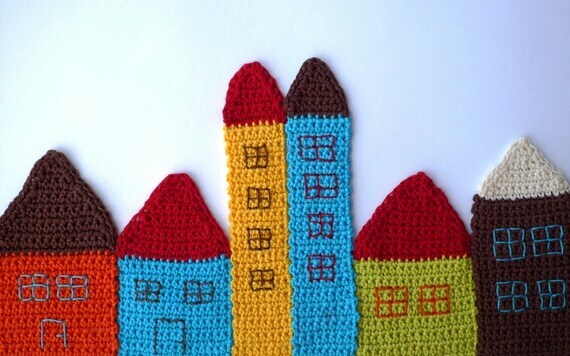 The theme is "paper piecing" and the prize I'm offering is 3 digital stamps of the winner's choice. 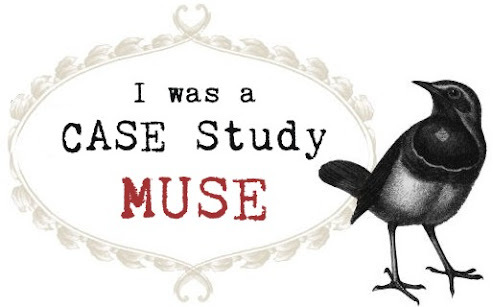 Today I'd like to share a card I made for CASE Study Challenge #75 (CSC75). 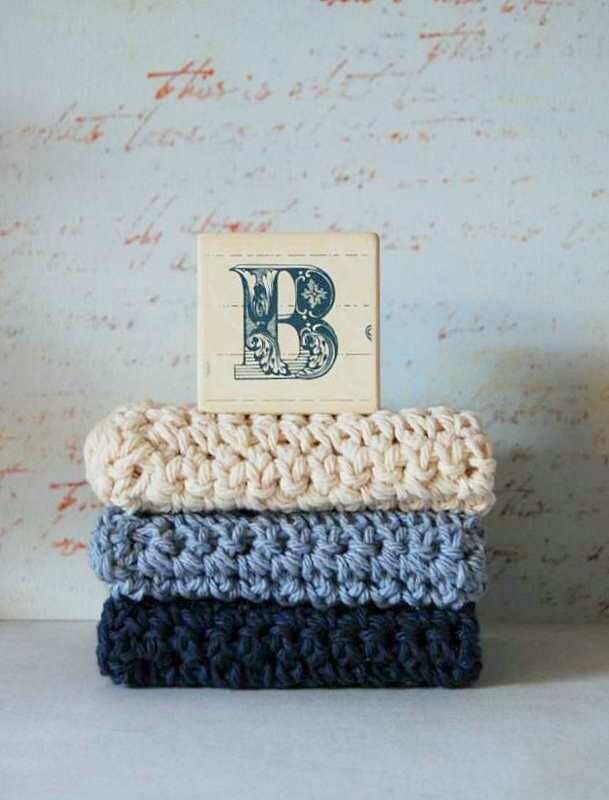 I also used a couple of photos from Etsy for my inspiraton. And my card is here! Are you bored with me? Sorry, but I CAN'T stop creating cards inspired by Etsy!! LOL! 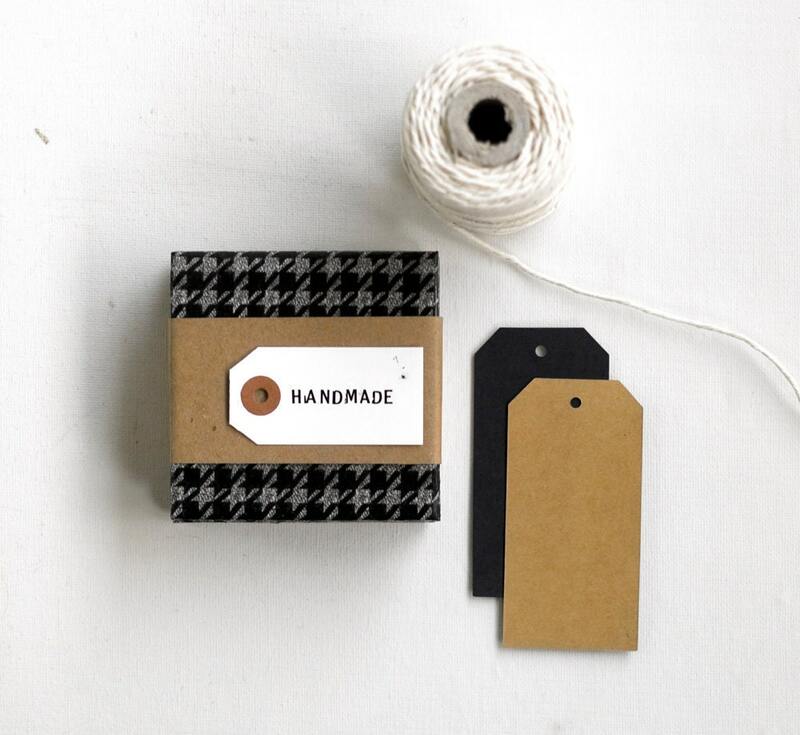 Oh, Jute Twine again! LOL! Thank you for stopping by! Have a great weekend!! DAY 2 : Perk Up! Now onto today's card. 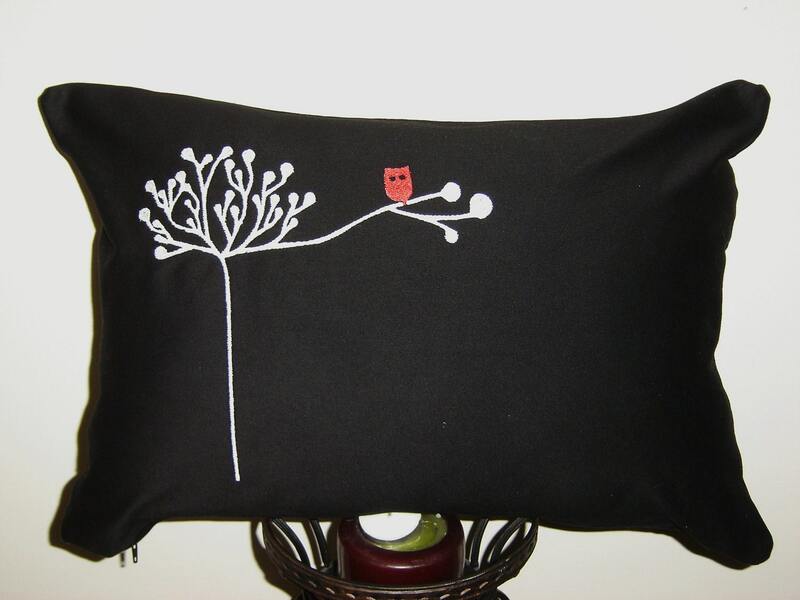 I was inspired by the photo below which was from a Etsy shop. 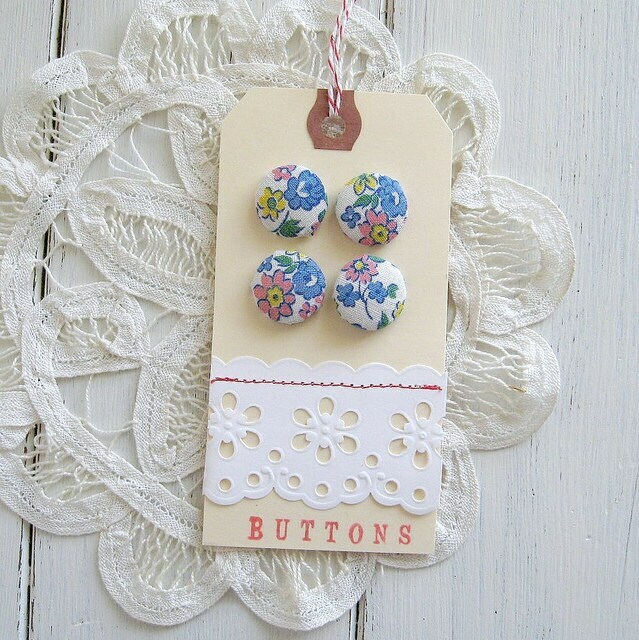 I loved the vintage flower print and the white lace with a red stitching! Here is my translation. 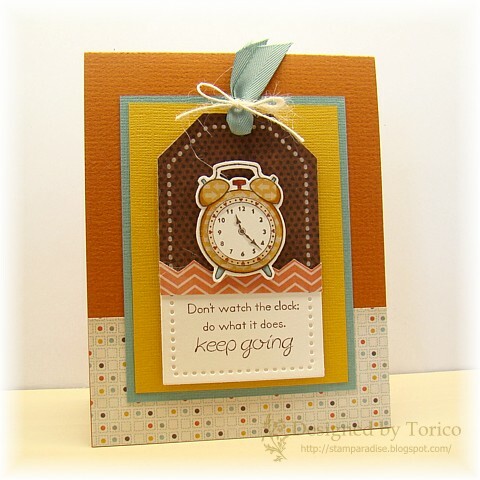 It's the final day of this month's TSG Blog Hop Challenges. 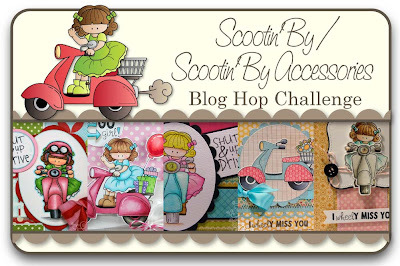 Today's sets are Scootin' By and Scootin' By Accessories by Melyssa Connolly! Cruising on a Sunday afternoon, scootin’ by to say hi! 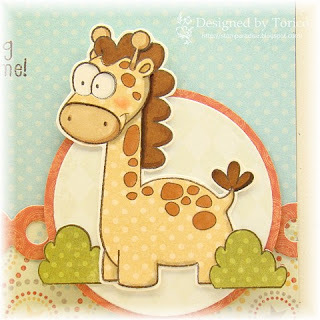 Melyssa Connolly has brought Leah back and she’s ‚born to be wild!‛ She already comes with lots of fun, but if this isn’t enough she has a kit to accessorize to her hearts content! Whether she’s moving, heading off to school, or enjoying a ride she’ll surely make tracks into your heart. Scootin’ By is a 4x8 set that includes a total of 15 stamps and will sell for $18.00. 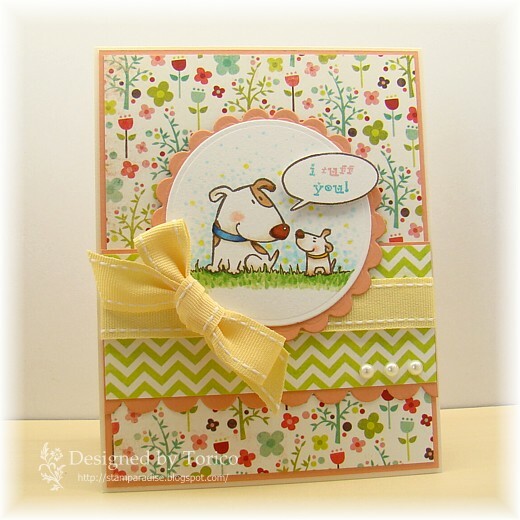 Scootin’ By – Accessories is a 4x4 set that includes a total of 14 stamps and will sell for $10.00. I know that I'm getting to be a sucker for Jute Twine lately, and I couldn't help adding it on this card. My hubby was afraid that Leah was going to stumble on the rope (he meant twine). LOL! I hope she'll be safe. 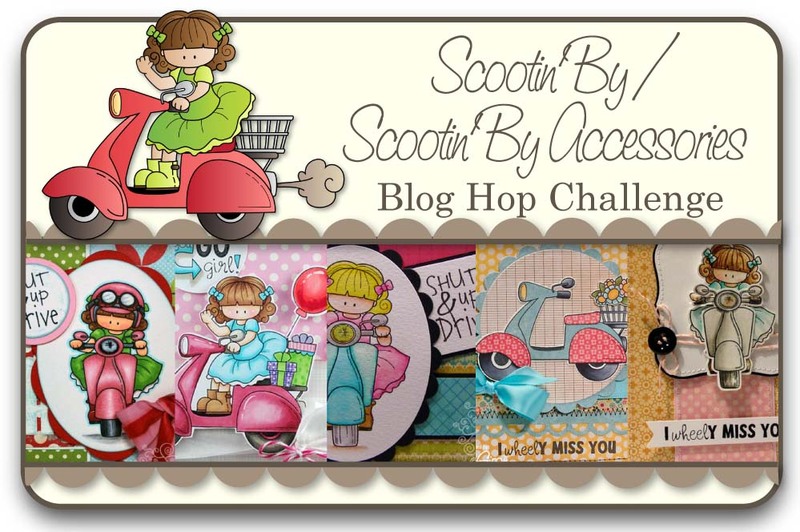 Would you like to win the new Scootin’ by and Scootin’ by Accessories stamp sets? Here is what you need to do- visit the Trendsetter’s blogs that are participating in each of the blog hop challenges below and comment on their creations as you go. One of the Trendsetter’s blogs (from each hop day) will be randomly chosen as the ‘it’ blog and a winner will be picked using a random number generator from the comments left on that Trendsetter’s Blog Hop Challenge post. You will not know which blog has been chosen so the more you comment on the better your chances are of winning new stamps! The Blog Hop Challenges will be open until 5 PM Eastern Time Saturday January 28th with the winner being announced during the release party chat. TSG Blog Hop Challenge Day2 : Perk Up! 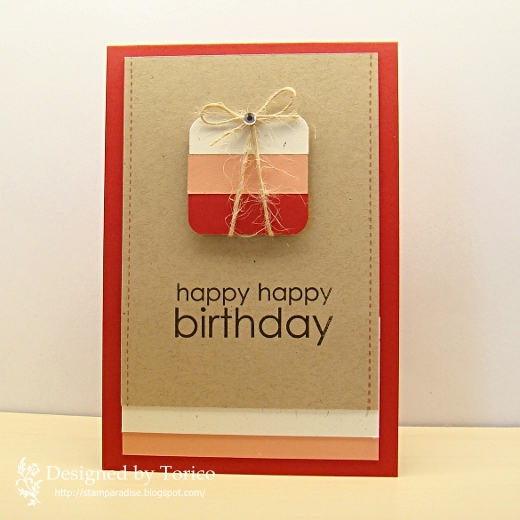 Hi everyone and welcome to Day2 of TSG blog hop challenges. Friendship and coffee are a good blend to send greetings near and far. Perk Up! is a darling set to perk up the one 'mug' you’ve been missing. An absolute must for those sweets and treats without all the calories! Perk Up! 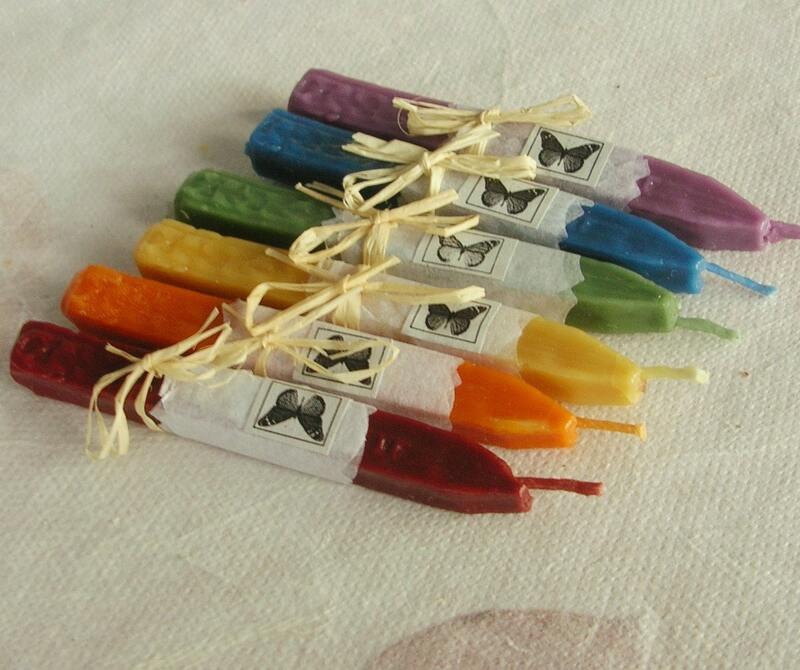 is a 4x8 set that includes a total of 36 stamps and will sell for $18.00. Would you like to win the new Perk Up! stamp set? 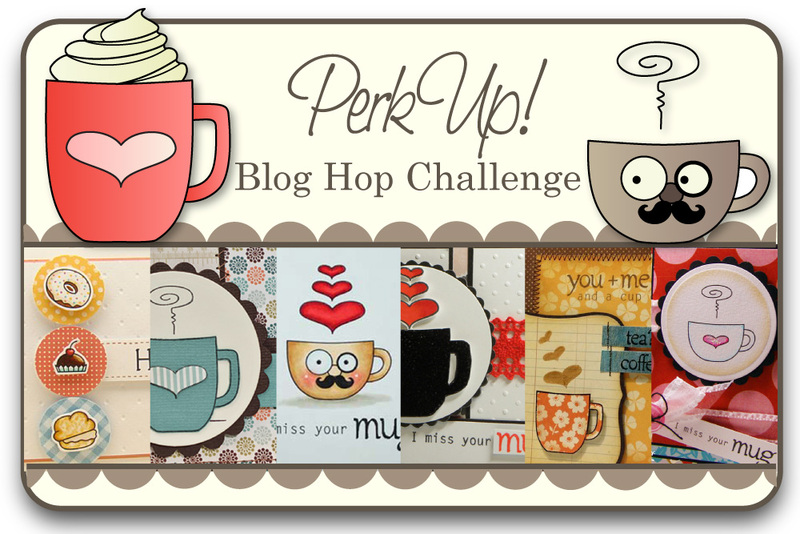 Welcome to this month's TSG Blog Hop Challenges! This month, 4 stamp sets are going to be released. The stamp set we are showing you today is a mini set that is called Nursebot! No 'bots' set would be complete without Nursebot! This set is going to make you feel all better with Nursebot. ;) What a great way to send well wishes then a visit from the Nursebot. 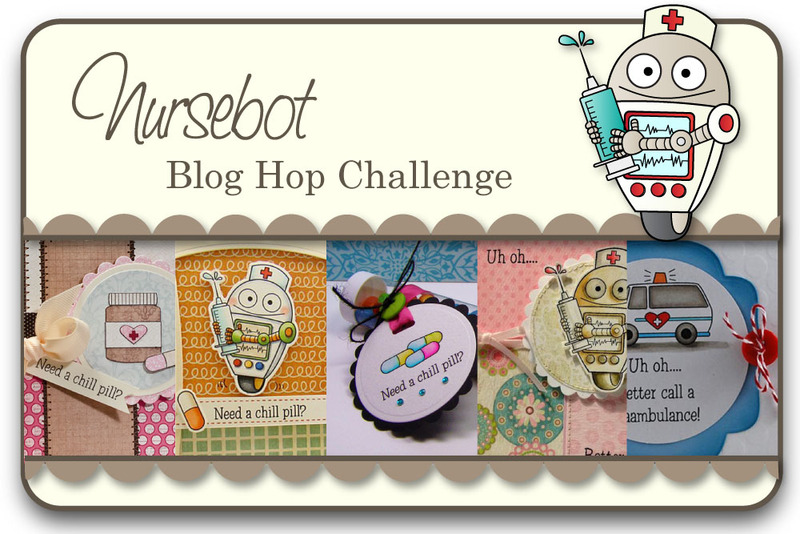 Nursebot is a 4x4 set that includes a total of 11 stamps and will sell for $10.00. 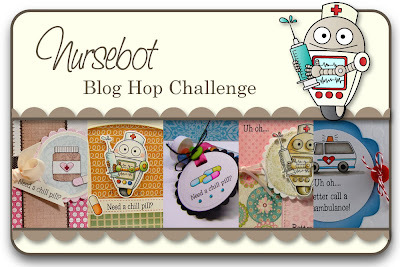 Would you like to win the new Nursebot stamp set? Thank you for stopping by today! I hope you'll come here again tomorrow to see another new stamp set I illustrated. Do you remember this card I shared last week? I created another "Etsy inspired" card and I'd like to share it with you today. At first, look at my inspiration photo. If I didn't add red blinkies, I would enter this card to this weeks CAS-ual Fridays Challenge(CFC36) --to make a CAS project using only black and white. But the spot of red was very important to me, so I couldn't help adding them. Thank you for stopping by today. 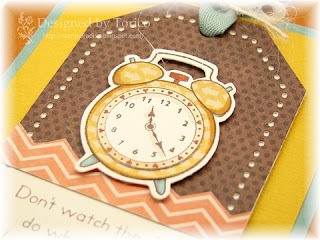 I'll be back tomorrow with a sample card for this month's TSG sneak peek!! See you tomorrow! Happy Sunday everyone! I hope you are enjoying your weekend. Thank you for stopping by and enjoy the rest of your weekend! A few days ago I stumbled on an inspirational photo at Etsy. I loved this design, and I kew I had to make a card based on it. I have saved a few more inspirational photos from Etsy, so you'll see some cards inspired by them in the future! 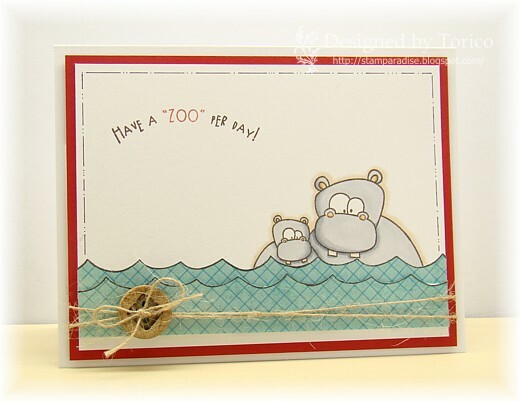 This weeks challenge at the TSG blog (TSG 139) is to make a card/project with a scene of Back to Nature. Use anything you like as long as it involves a character and nature! I grabbed Zoo-pendous set again and created a CAS card. For the challenge details, please visit the TSG blog. I hope you'll have a time to play along with us this week! I do loved this card and wanted to make my own interpretation of it! It is absolutely beautiful and elegant. I thought an "elegant" part wouldn't match with my recent style, so decided to go with simple & cute way! Aaaaaaaah! I'm very very happy with how it turned out! LOL! I can't believe it's already Friday... Time flies too fast! This week I had been working around my new digis, and I finally listed them up to my Etsy shop yesterday. 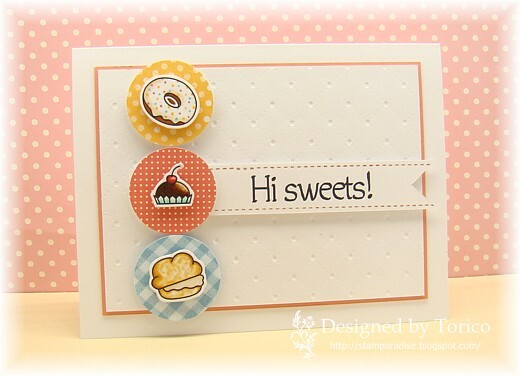 I'd like to share with you one of my sample card for new digi set. 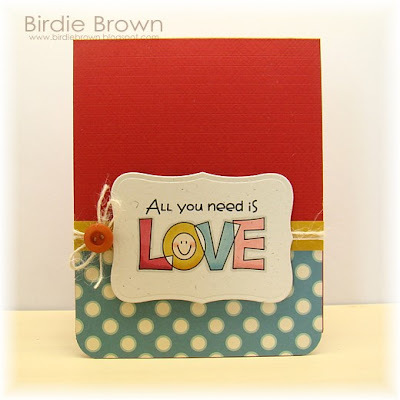 I'm entering this card to the Paper Players challenge #77, the theme is "All You Need Is LOVE". 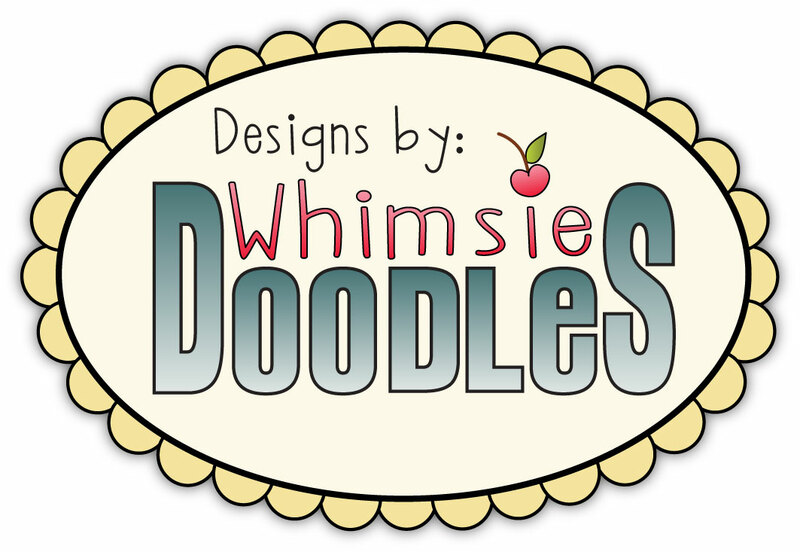 If you are interested in my new digital stamps, please visit my another blog and/or my Etsy shop! It's time for another TSG challenge (TSG 138)! 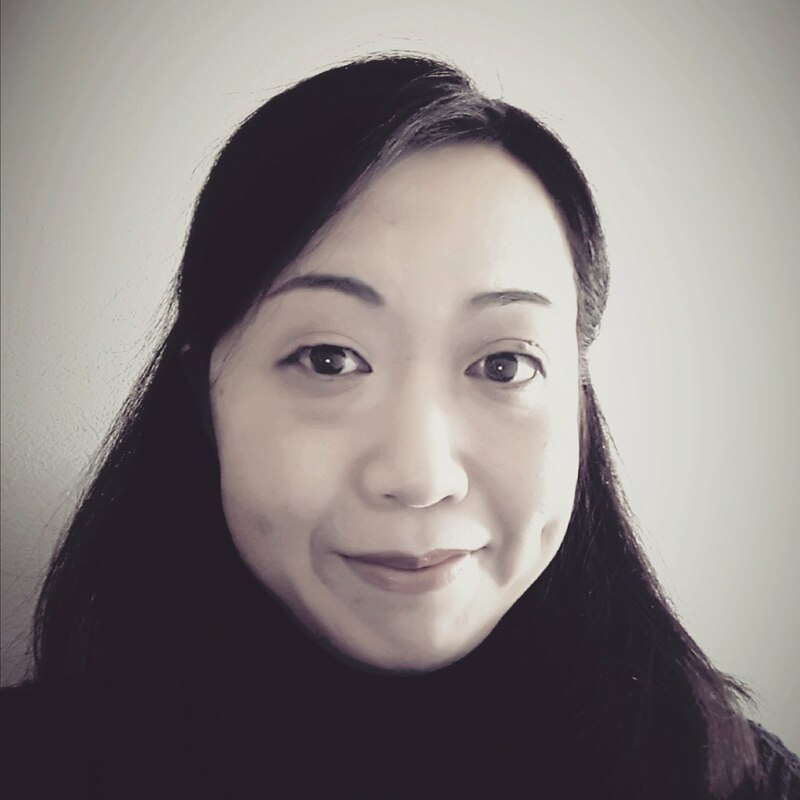 ;) This week our challenge is brought to us by our Trendsetter of the week- Jackie! She has challenged us to make a card or project using the Paper Piecing Technique. Please visit the TSG blog for the details of the challenge. I hope you play along with us this week! Happy New Year everyone! ...I'm late? LOL! 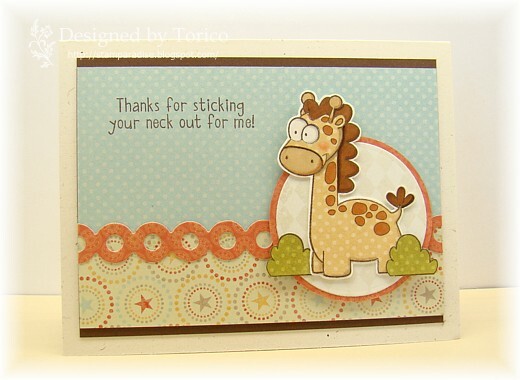 I finally got time for crafting last night and created a card for this week's TSG Challenge (TSG137). This week's challenge is brought to us by our Trendsetter of the week, Debby Hughes. Debby is challenging us to create a card "A New Year, A New Start". In other words, create a card depicting your new year resolutions. Thank you for stopping by today. See you soon!